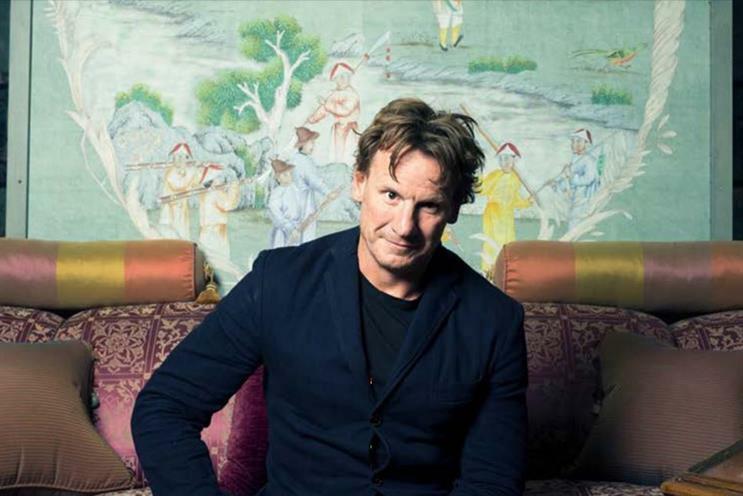 Creative innovation can only be achieved by diversity of thought, according to Nick Law, Publicis Groupe's newly-appointed chief creative officer. Who said that fearlessness must be performed through gritted teeth and with a sweaty brow? As Campaign dialled Publicis Groupe’s new chief creative officer, Nick Law, on only his second day in the job, we found the former R/GA man lying back on a sofa eating grapes. Do not misinterpret a louche pose as a sign of a languid mind, however. Over a 17-year stint at R/GA, Law, who is jury president for this year’s Creative eCommerce Lions at Cannes, was at the forefront of some of adland’s most innovative work, from overseeing the development of Nike+ Running and Nike+ Fuelbands to helping Beats by Dr Dre create its Beats Music offer. After being hand-picked by Publicis Groupe chief executive Arthur Sadoun to oversee the company’s transformation to "a platform that connects, empowers and unleashes the creative potential of each and every employee", no less, Law has become one of adland’s brightest stars – albeit at a time, he admits, when the industry feels under attack. So what went wrong? For Law, agencies allowed a position of strength to slip as a result of becoming too comfortable and "insular" over the past decade, though he does not believe the situation to be as dire as some commentators make out. "We find ourselves in a position where, because of our original timidness and lack of courage, we’re on the back foot. Right now we’ve gone from being a very arrogant, insular industry to one that feels under siege. It’s a strange overreaction," he says. "The industry has lost what little confidence it has because of imagined threats. I say imagined - the consultancies coming in, or in-house agencies, or the big digital behemoths - they aren’t completely imagined, they are real threats. But there are certain things that our industry should be able to do better than any of them." Part of this strength, he believes, is agencies’ ability to build creative cultures - something Law argues does not come naturally to consultancies or technology firms. He claims the work produced by "hardcord tech plays" may offer seamless experiences, but "lack soul" and intuitive brand "acceptability". However, for agencies to regain the ascendancy, Law believes they must reappraise some of their most fundamental building blocks. In his own words, Law’s career has represented a "daisy chain of risks", taking him from design to advertising, then on to the early days of the internet, before uniting all of those elements at R/GA and helping it to become one of the most talked-about agencies on the planet. One of the most fundamental contributors to that success, he says, was the decision - where applicable - to break up the "time-honoured" creative team comprising an art director and copywriter, first devised by DDB co-founder Bill Bernbach soon after the Second World War. "Back in the 50s, that was an incredible innovation at the time, and it resulted in those wonderful Volkswagen ads. But that was the last time we reinvented the creative team. It’s unlikely you’re going to get innovation when you have the same atomic gene for 50 years," Law says. At R/GA, he helped devise the network’s "stories and systems" model to encourage diverse thinkers to come together. According to Law, this "guiding principle" helped unite the "subtractive" craft of good storytelling and idea distillation with the "additive" skills of digital design and architecture. "What I found is that if you had a team mostly of traditional storytellers, they didn’t innovate very well, and if you had more systematic and architectural creatives, they were good at generating possibilities but they weren’t very good at distilling those into a simple brand idea. The tension between those two things, those two ways of thinking, means you are more likely to get both innovation and clarity," he says. Offering a hint as to why he gave up his role at the summit of a feted agency, Law places this scenario in the context of Publicis Groupe’s portfolio of agencies. With "great storytellers" at agencies like Bartle Bogle Hegarty and Leo Burnett, and technology specialists at Sapient and others, he believes the group has a "big opportunity" to create some transformative work. "It’s at the intersection of those things you get branded interfaces, and delightful experiences that are habitual and ongoing, which is hard to get if you don’t understand brands," he says. Law claims there was little hand-wringing as he decided to swap his life at R/GA for something altogether different at Publicis (a move that has taken on a new context in light of US chief creative officer Chloe Gottlieb’s departure for Google): "I had been in a great position at a great agency, but when the opportunity became clear, I didn’t think it was risky. In our industry, what is risky? If it goes wrong, what do you end up with? Learnings?" Though acknowledging with a laugh that it may appear "self-serving", he names Publicis Groupe chief executive Arthur Sadoun as the "most fearless person in the industry in the last 12 months" for "doing some things that some people think are great, and some think are ludicrous". "It’s one of the reasons I came to Publicis," he adds. Law took a three month break between roles to soak up life as a "civilian", though he kept in touch with the industry through his position on the board of The One Club organisation to promote and support the global creative community. Though citing rapper Childish Gambino’s controversial music video for his track "This is America" as the most interesting piece of content of recent times ("it’s just profoundly amazing, and feels so right now in terms of culture"), Law argues we are experiencing a "golden period" for experiential activations, naming BBH Singapore’s "Unlimited Stadium" project for Nike as a particular favourites. However, for the industry to reclaim its crown, Law believes that adland requires braver creative leadership: "I just think it’s a wonderful time to be creative, yet somehow the industry seems to be very scared, and I would ascribe that to not enough strong creative leaders. We are the product people, so we should be most excited about the future, but in many cases these people are sealing themselves off in a sentimental world, chasing trophies. "The last thing that helps is to come up with fatuous maxims about what creativity is, or what we should be doing. We should be doing what is going to work. I don’t need to hear about the ‘big idea’ ever again, or even that ‘it’s still about storytelling’. Well maybe it is, but let’s be specific," Law says. Is a stronger dose of fearlessness the solution? Perhaps, Law agrees, but in a manner that requires consideration rather than knee-jerk reactions. "It’s an interesting balancing act. Being fearless is not being nihilistic. You can’t care what people think, but you have to care deeply about your work. That is the trick. Unless you can deflect the bad stuff that comes from being fearless then you’ll never be fearless," he says. "This is a really interesting time, and it’s a great time to be fearless, because if you’re not, then you will be left behind. Media can be manipulated by creative people; invention can happen very rapidly. It’s a wonderful time to be a creative person." With that Law is off the sofa and back to the task of getting to grips with Publicis Groupe’s creative output - an ambition that will doubtless leave its agency teams with plenty to chew on.